The British painter Lucian Freud was the most famous realist painter, whose grandfather was the famous founder of psychoanalysis Sigmunt Freud. He went to England and was affected by the painter Francis Bacon. 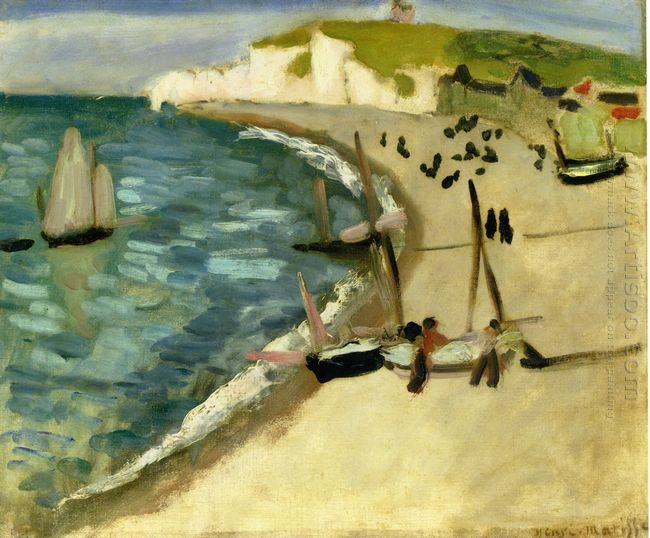 From the perspective of painting techniques, Freud's works were closer to direct techniques and freehand style. 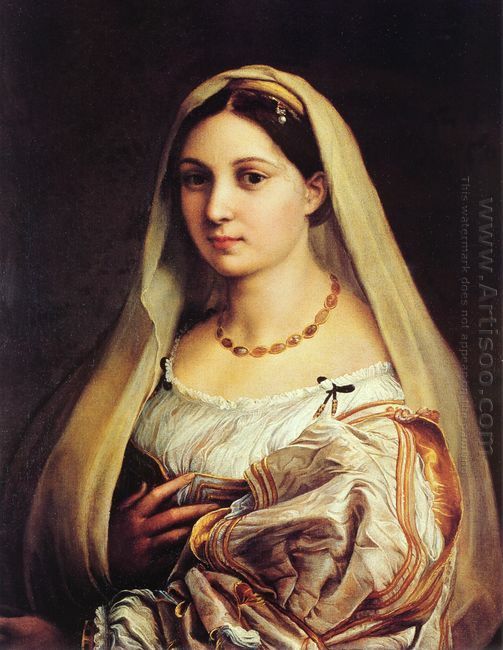 The evolution of his painting style was really changed from the delicate neat realist style to bold freehand style. In Freud's later works, the charm of traditional painting languages such as pigment texture, turbidity and color were refreshed again. And his peculiar psychological and physiological in-depth observation and description for characters made his painting portraits and the human body to achieve the unreachable depth which the general painters could not realize and made Freud become an outstanding painter in 20th century. Freud's painting color tone is mostly warm grey with an emphasis on the color changes. He liked thick painting texture very much and believed that the pigment for the artist was as important as muscle to a human being, which could reflect his brushwork language. His paint was basically without gas dilution to shape it has stronger sense and covering power. But in the specific rendering with shading and shape of the ups and downs, the thickness variation was naturally formed. Because Freud had solid shaping foundation, so when he used the pen for shaping he was very sure. Brushwork and body structure were combined very well, but in the key structure of skeletal muscle and blood vessels, there were a lot of his own characters strokes jumping out, sometimes there was a force of color heap, sometimes a fine color line of his unique arrangement. The background and other places were often swept over by large pen with very rich changes. The direct painting that Freud used was not main opaque color thick coating, but we could see some of his works were not finished one time. But after the drying of the bottom color, then dry brushstrokes coverage formed staggered overlap and dry contrast to the upper and lower color. 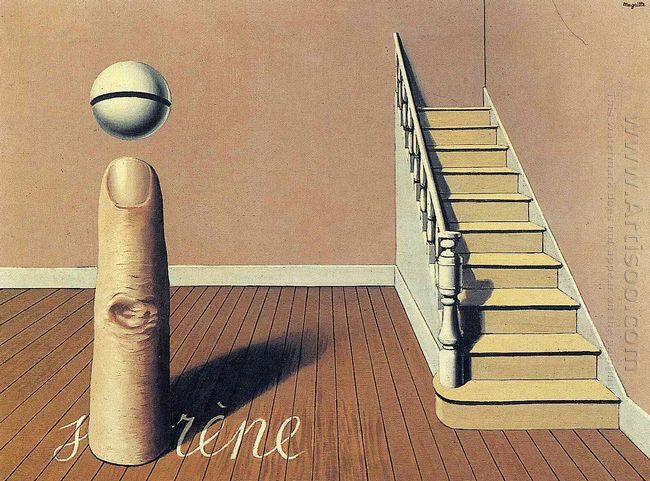 Subdue Subdue means using the bottom of oil painting brush to paint, press and subdue, then lift, like calligraphy, ..
Before knowing Italian surrealist painter Chirico, Ernst and Rene Magritte (1898.11-1967.8) had been engaged in advertising and wallpaper design. .. 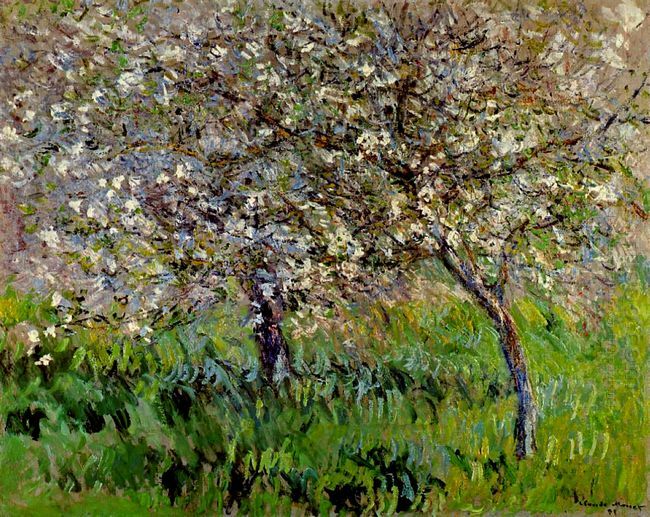 The trees are difficult to paint particularly if the trees are in the foreground. It is very difficult ..
What The Peasant Wedding Tells? 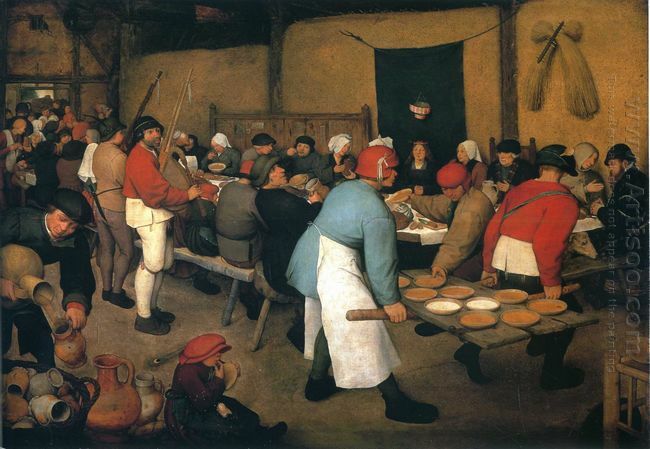 The Peasant Wedding is a famous painting by Renaissance painter Pieter Bruegel the Elder. Pieter Bruegel the Elder .. The Veiled Woman This painting uses a very rich painting language. The painter gives full .. 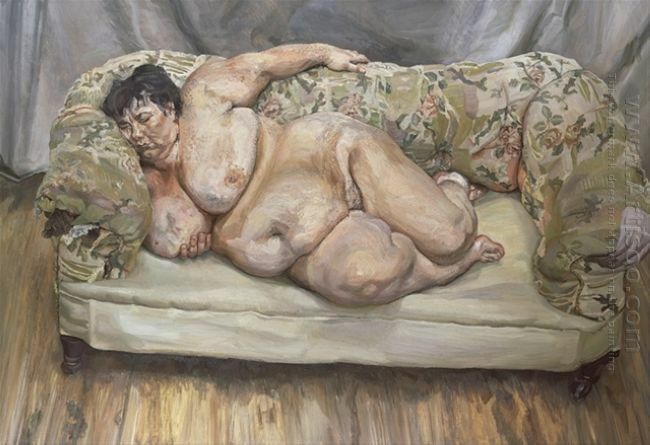 This entry was posted in Oil Painting and tagged brushstroke, color, Lucian Freud, painting skills, technique. Bookmark the permalink. Thanks for pointing out. What an embarrassing situation. It is correct now!